Eleaf LCD Digital Ohmmeter and Voltmeter can show you real time voltage, wattage and resistance value with real vapor conditions. It's 100% original product from eleaf. With traditional voltage meters, it only can show the voltage of the battery in a no-load condition, although it will not show you the drop of the voltage during real-time usage. This LCD meter can show you real time voltage/wattage with real vapor conditions. The benefit of testing with on-load condition with a quality battery is the voltage will remain as advertised during usage, as compared to a bad battery where the voltage will drop significant during usage. • It comes with 510/eGo thread for atomizers and 510 thread for batteries. • There is CE mark on the bottom of the LCD meter. As advertised. Looks, feels and smells good. Looking forward to wicking with it. Since the previous, I have wicked my RDAs a few times. Nice, clean taste, good wicking, easy to work with. Make sure you peel the top and bottom layers off (although it works fine too if you don't). 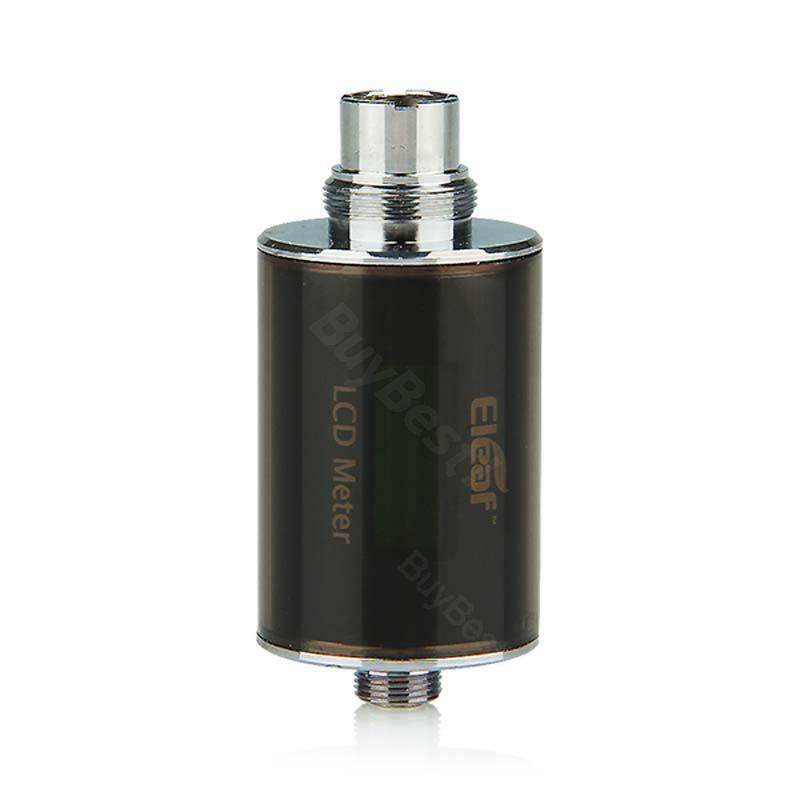 Eleaf LCD Digital Ohmmeter & Voltmeter is one of Eleaf product made from plastic tube with steel structure inside. It has a varying voltage of 2.5V-.5V and a resistance range of 0.5-10ohm. It is available only in black color.